A police sergeant has been jailed for dangerous driving after pleading guilty to causing the death of a shopkeeper in a crash. 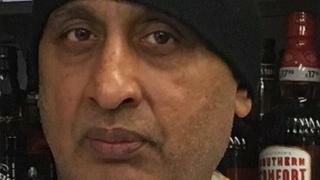 Balvinder Singh, 59, died in hospital from his injuries after the van he was driving was hit by off-duty Jason Bannister on Cannock Road, Wolverhampton, in December 2016. Bannister, 45, of Wombourne, will spend 18 months behind bars, Birmingham Crown Court heard earlier. He is currently suspended from duty. Staffordshire Police said it would launch misconduct proceedings now the court case had concluded. Bannister was also banned from driving for a total of three years and nine months, and will be required to complete an extended driving test in order to obtain his licence. After his death, Mr Singh’s family paid tribute to the Wednesfield shopkeeper, and said: “He was the most loyal and hard-working family man, with three children and six grandchildren who were his everything one of which he never got to meet. Bannister was treated for minor injuries following the collision.